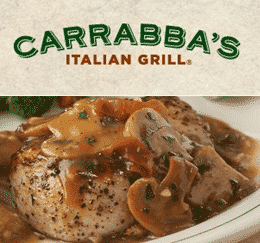 Claim A FREE Meal Voucher TODAY To Carrabbas! You are here: Home / Sweepstakes and Contests / contest / Claim A FREE Meal Voucher TODAY To Carrabbas! Who likes Carrabbas food?? Today, can sign up to receive a voucher for a FREE meal, appetizer, or small plate at Carrabbas! This offer is only available today (January 11) at 8:00 PM Eastern Time to the first 1 million people who claim a voucher! If you are one of the first one million to sign up, you will receive your voucher via your email. Set an alarm for 8:00 PM Eastern Time! For more information, visit this website.